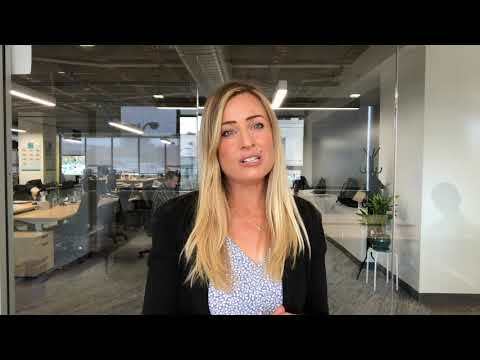 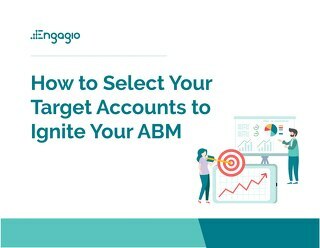 Just because you’ve identified your target accounts doesn’t mean you are done! 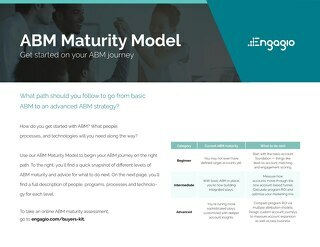 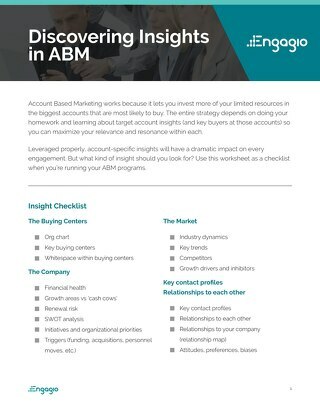 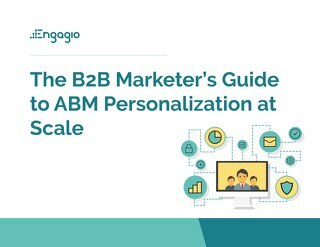 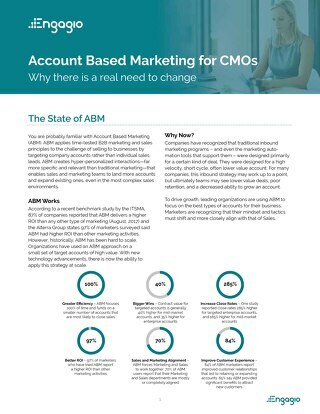 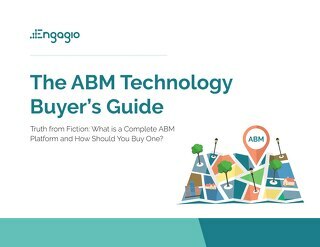 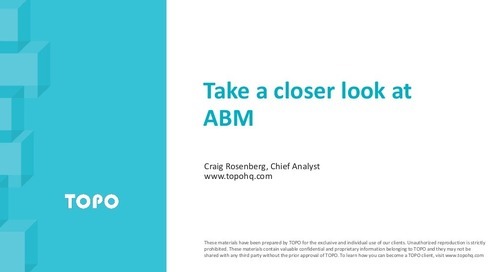 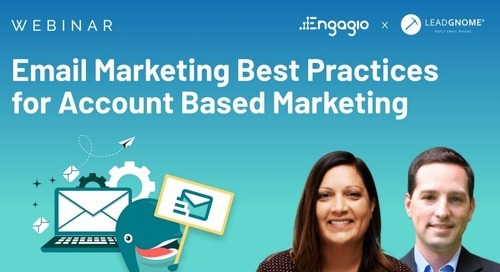 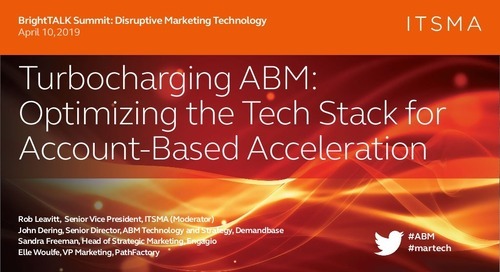 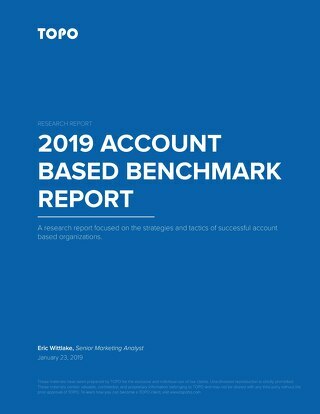 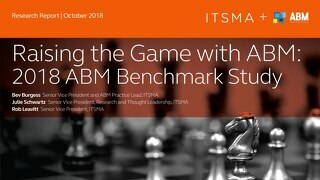 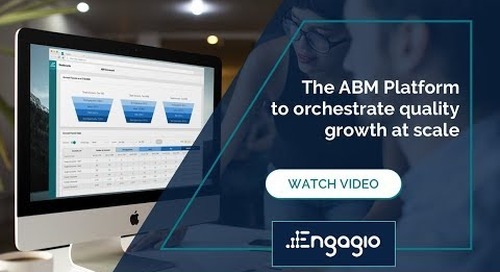 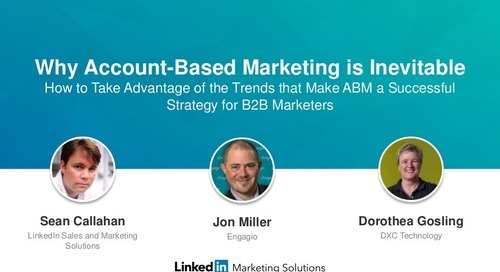 If you don’t have the key personas, right contacts, and accurate information to engage with them, your ABM strategy will never get off the ground. 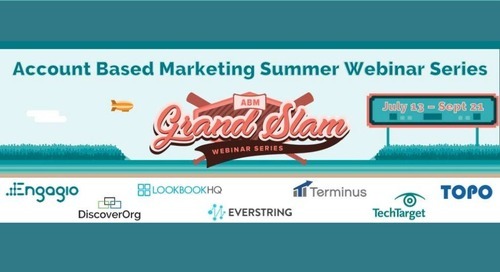 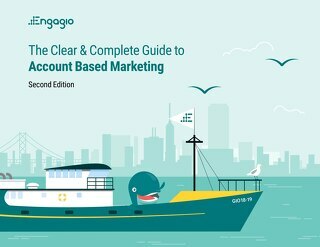 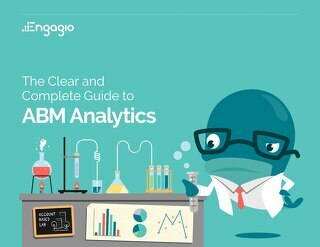 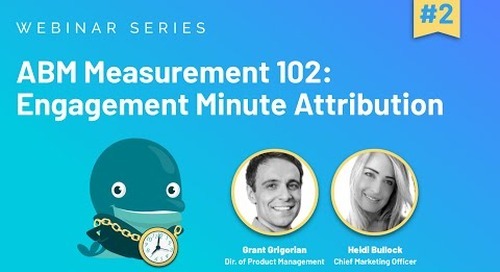 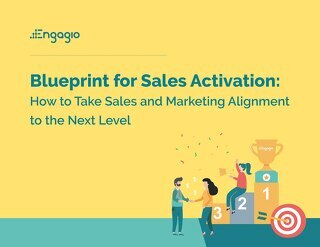 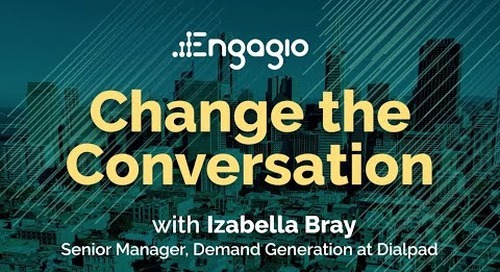 In this webinar with DiscoverOrg and Engagio learn how to map out a successful contact acquisition and engagement strategy.